Try These 3 Home Staging Tips! It's a Seller's Market - Why Stage? Staging helps buyers see themselves living in your home. Remember, first impressions count! 1. Thoroughly clean your entire home. Scrub dirt, grime, and stains from walls, cabinets, and backsplashes. Top to bottom, every nook and cranny. Repair cracks and holes in the walls and touch up the paint. Make every single area neat, organized and tidy. 2. Remove all personal items. Remove family photos, personal treasures, and all pet paraphernalia. Buyers are understandably curious and will focus more attention on your personal items than picturing themselves comfortably in your home. 3. Consider renting a storage unit to remove excess and oversized furniture. Make each room look open. Clean out your closets and consider storing out of season clothes to make them look spacious. If you have a two-car garage, make sure you can fit two cars in it now. Finally, make your home inviting. Set the table. Have a bottle of wine with a loaf of fresh bread about to be cut. Or, a bottle of sparkling water with a bowl of fresh limes and lemons. Contact us for your Complete Staging Checklist. 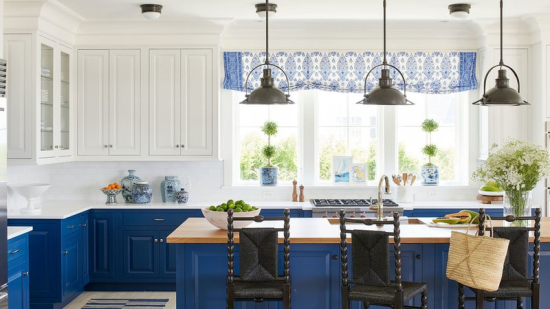 Here are a few examples from 2017 Coastal Living IdeaHouse. 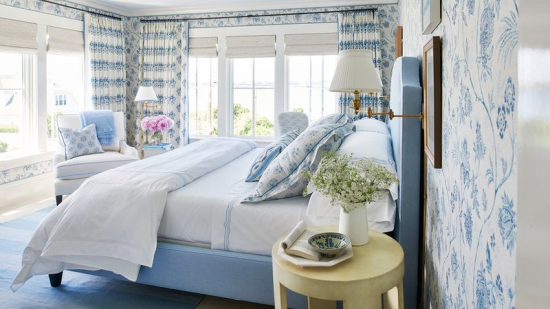 Note the flowers on the tables and the turned down comforter in this Master Bedroom. A bowl of limes, plants in the windows, a bag over the back of a chair, oranges in the corner, flowers on the counter with a slightly turned out chair invite you to take a seat. It looks like there is plenty of room in this closet for any buyer. Note the open spaces on the shoe shelves, there is room for a chair, and there is plenty of space for hanging clothes. For more pictures, tips and ideas, contact us for a Complete Staging Checklist.